WHEN IT COMES TO AUTO GLASS - WE DO IT ALL! Cars, SUVs, RVs, Classics and late models, even commercial vehicles and farm equipment. Auto Glass Systems will put you back in the driver’s seat as soon as possible with fast, clean and reliable service. 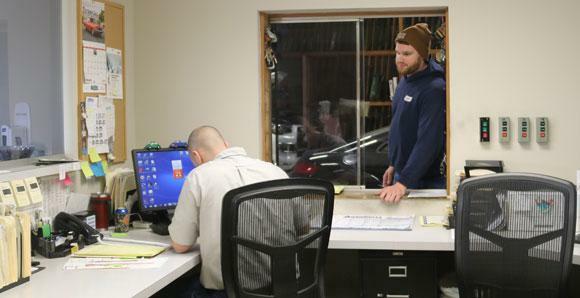 From autobody shops, car dealers, business owners, and everyday commuters, our goal is to make each and every customer satisfied with our workmanship. 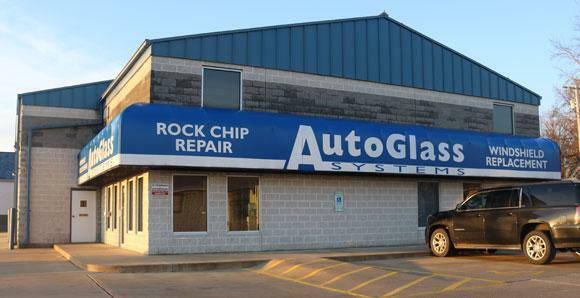 Read why they trust Auto Glass Systems with their vehicles. After living with a cracked windshield for two years, I am overwhelmed at the clarity with which I can now see the road ahead. Auto Glass Systems was able to service my vehicle right away and even offered me a loaner car at no charge, so I was not without transportation during the process. They provided quality work with excellent customer service. I am very pleased with the service received and recommend others to try them as well. Auto Glass Systems has been great to work with on a number of occasions. They have fixed everything to do with glass on our vehicles from mirrors, side glass, rear windows & even power window motors. All have been done on a same or next day time frame. I have never had a problem with leakage with any of the work done. Prices have been great also. I would refer any of my family or friends to this business. They work with our team as if our businesses are one and the same. Many businesses claim to have a high level of customer satisfaction. I can safely say that we have never heard a complaint from any customer that we have referred to Auto Glass Systems. This type of business relationship has helped us continue to grow as we wrap up our 25th year in business. We are proud of, and appreciate our affiliation with Auto Glass Systems. Repair or replacement - our goal is to get you back on the road in no time. We partner with the most reputable manufacturers in the business, which means we can get the part you need quickly - usually within 24-hours. You’ll drive away knowing your car is as good as new. We offer free and accurate estimates. Give us a call or stop by our shop. While some estimates can be given over the phone, some vehicles may need to be seen to determine which options your vehicle contains. But don’t worry - it will be fast and convenient, and no appointment is needed. Life doesn’t stop for auto repairs. If you have things you need to do, or somewhere to be, and cannot be without transportation, we have 6 courtesy cars. They’re clean, well-maintained, and best of all, free. Just bring a valid driver’s license and proof of insurance, and the car is yours to use while we are repairing your vehicle. Don’t feel safe driving with a damaged windshield? No worries, we’ll come get your vehicle and bring it back when the job is done. If your car is unsafe to drive or you just don’t have time to bring it to us, then we’ll come to you. Our technicians will provide an on-site estimate and can quickly make most repairs, right there on the spot. With two fully-equipped vans in our mobile repair fleet, help will be on the way before you know it. Your window shattered and left you with broken glass in your car. No worries. A thorough vacuuming and clean-up comes free with every job, whether it’s in our shop or on-site.